If scintillating graphics and incredible gameplay get your pulse racing, chances are you have already heard about NVIDIA RTX 2080 graphics. The latest graphics card by NVIDIA is based on an innovative “Turing” architecture that ups your gaming performance up to six times of what you have been used to! Yes indeed! You can stop gasping at that now and proceed to awe at the real-time ray tracing that these cards also bring to the table. With this technology—the first ever in any GPU—you can experience shadows, lights and reflections to a degree of realism that seems genuinely miraculous. Think about the number of pegs this will elevate your gaming sessions to—probably too many to count. Apart from this groundbreaking innovation, RTX cards also enhance graphics through AI algorithms (artificial intelligence). The “Deep Learning Super Sampling” (DLSS) feature paves the way for thrilling special effects and image enhancements that render your game greatly more immersive than you might have ever experienced. This newest brainchild of NVIDIA has, not surprisingly, taken the computer world by storm, and got gamers all over the globe excited. Many laptop manufacturers, including ASUS, Dell and MSI, have already come up with mighty impressive laptops powered by these cards. In our review, we take you through a comparative analysis of NVIDIA RTX 2080 cards. We also shortlist the ten best laptops you can acquire to experience this GPU in its resplendent power. Have you been using a gaming machine with a GTX 1080 GPU? You are then already familiar with the high power and seamless imagery that comes with these powerful NVIDIA GPUs. Does it make sense to upgrade to the pricier RTX 2080 cards? Does all the hullabaloo about ray-tracing and performance-boosting hold weight? Let’s find out. As is evident from the table, RTX cards offer major highs in performance and image quality while also realizing never-seen-before arenas through ray tracing. You will be able to experience upswings in speed, frame rates, and resolutions. While these cards aren’t exactly cheap at $799, the investment is worth it for hitting spectacular heights while gaming. There’s no denying the razzmatazz of an NVIDIA RTX GPU. But which one should you get—RTX 2060, 2070 or 2080? Depending on your needs and budget, you should keep in mind these benchmarks while choosing among the three. RTX 2060 cards are a neat way to start if you are hunting for a faster GPU that doesn’t drill a gigantic hole in your pocket. It offers real-time ray tracing and DLSS while also providing the least power consumption. The RTX 2070 card is superior to this one, better suited to 4K games where you need life-like imagery. The RTX 2080 is currently the fastest GPU you can lay your hands on, offering terrific performance and the finest image enhancements ever. The power consumption escalates too, making this GPU suitable only for heavy-weight, full-purpose gaming laptops. Getting an NVIDIA RTX 2080 Laptop: Wise or Unnecessary? Granted, a new GPU with promised performance enhancement has a certain allure for gamers, but is this new launch worth its salt? Ever since the announcement at CES 2019, tech enthusiasts have been celebrating the RTX 2080 GPUs for their first-time-ever AI enhancement and real-time ray tracing. As it turns out, the difference is pretty much immense. 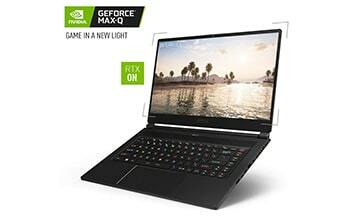 A gaming laptop infused with one of these GPUs will help you enjoy performance several times faster than before, combined with superior imagery and unbelievable special effects. These laptops are also likely to be quieter while maintaining a lightweight, thin profile. NVIDIA has announced that most new gaming laptops will use the RTX Max-Q version which will help keep the bulk down while maximizing performance. All this makes the acquisition of a gaming laptop with an RTX card a worthwhile decision. What if you have a laptop with an NVIDIA GTX card that does its job quite fantastically? GTX cards are competent at handling most AAA games, even at 4K resolutions, and unless you are one of those gamers for whom every second matters, say during gaming marathons and competitions, an upgrade to the much pricier RTX may not be necessary. Consider making the switch only if you can really benefit from the image- and performance-boost that will accompany the upgrade and are willing to shell out anything from $2599 to $4199 and above. 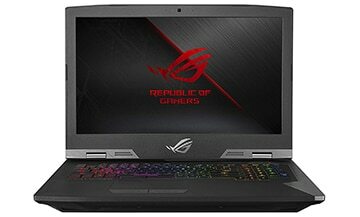 Sample these specs: the ASUS ROG Zephyrus S GX531GX-XS74 is a 15.6” gaming laptop with an Intel Core i7 processor, GeForce RTX 2080 with Max-Q, a refresh rate of 144Hz, and a response time of 3ms. Even so, it has a weight of 4.63lbs and a thickness of 0.6”. If these figures seem too good to be true, that is exactly the endeavor of this latest offering from the ASUS Zephyrus range. This computer, built with a magnesium alloy using military-grade construction standards, looks every bit the premium gamer with its glorious metal cover and tough, go-getter looks. The performance is elevated several notches by the RTX GPU with real-time ray tracing, programmable shading, and AI-boosted graphics. On the display front, you get a screen with a 100% sRGB color gamut and a wide-angle view of 178-degrees. It is a delight to use the AURA SYNC keyboard with RGB lighting, tested for 20 million keystrokes. The auditory support beautifully complements the display with dual speakers directed straight at the user, delivering a sound output that’s richer in both bass and range. Particularly noteworthy is the cooling system employed by this Zephyrus—an aerodynamic system that uses 12V fans and anti-dust tunnels to keep the innards cool as you conquer your enemies in the arena. It is possible to game on the go and connect any accessories you need with the two USB 3.1 ports (Type-C) and the HDMI. Are you looking for a gaming laptop with a larger screen for full-steam, no-holds-barred sessions? 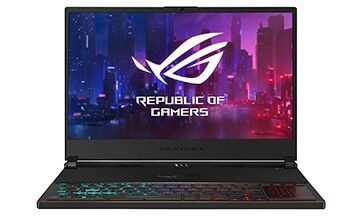 The ASUS ROG Zephyrus S GX701GX-XS76 gaming laptop is a 17.3” gamer with NVIDIA RTX 2080 graphics that fits the bill perfectly. It is driven by an Intel Core i7 CPU, 16GB RAM, and 1TB of high-speed SSD storage. Its Pantone-validated display offers a refresh rate of 144Hz and a response time of 3ms, both of which ensure distortion-free gaming at magnificent frame rates. For such a powerful gaming laptop, it manages to remain fairly slim at 5.95lbs and 0.74”. It is fascinating how this laptop manages to read the gamer’s mind intuitively and offer a handy GPU switch mode. So, if you are looking for increased battery life, you can switch to integrated graphics or Optimus mode (and choose discrete graphics or G-SYNC mode for higher performance). This feature is well supported by the efficient heat dissipation mechanism that the Zephyrus line-up seems to have mastered. Like its smaller cousin in #1, this laptop also employs 12V fans and anti-dust tunnels to regulate heat. A wonderful addition to this gaming laptop is a detachable webcam (1080p, USB-connected). The webcam offers 60fps which brings you fluid imagery for a variety of purposes. There are moments during cutthroat gaming when you wish you had invested in a gaming desktop—think about the difference in performance it would have made! If you are confused between aspirations like that and a budget that allows for only a gaming laptop, check out the ASUS ROG G703GX-XS71. 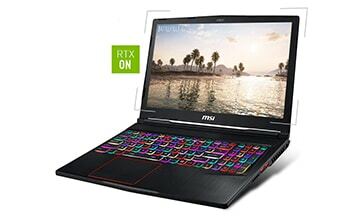 A 17.3” machine with an Intel Core i9 CPU, 16GB RAM, 1TB storage, and RTX 2080 graphics, it offers enthralling, desktop-grade performance in a laptop package. Of course, you are talking heavy-duty—10.35lbs and a thickness of 2”. How’s the display on this one? Quite good! You get a refresh rate of 144Hz, a response time of 3ms, and G-SYNC technology to minimize tearing. This laptop can smoothly handle AAA games and deliver an experience devoid of blurring, stuttering, and other nasty impediments in the way of true nirvana. The performance is kept sustainable by a top-notch cooling system that utilizes 12V fans, anti-dust tunnels, and copper pipes. You can easily navigate across fan speeds; the “Overboost” mode, for example, offers the fastest fan speeds and the highest performance. We also adore the AURA SYNC keyboard that provides per-key lighting, a comfortable key-travel distance of 2.5mm, and anti-ghosting. Combined with the sound system (2W speakers and 3W woofers) and the USB support (four USB 3.0 ports), this makes this laptop the closest thing to a gaming desktop without actually getting one. The first MSI gaming laptop on our list is a 15.6” machine with an Intel i7 CPU, 16GB RAM, and NVIDIA RTX 2080 graphics. Equipped with an IPS display that has a refresh rate of 144Hz. This gaming laptop exudes a premium feel with a black aluminum cover, per-key RGB keyboard, and the ever-resilient dependability of MSI. You get ample storage space—512GB of SSD memory in addition to 1TB at 7200RPM. The MSI Raider also stands out for its lightweight construction that almost belies the power that lies within—it weighs a portable 5.49lbs. The thickness, however, is somewhat high at 1.2”. If you need a stellar display for your game (duh, of course you do), this MSI product delivers and how. The screen has a response time of only 3ms and a color gamut of 100% sRGB and 72% NTSC. It also has an IPS panel to let you enjoy distortion-free viewing from multiple angles, based on your convenience. Along with the high-quality display, the gaming-friendly RGB keyboard and large speakers (four) elevate your experience and outdo your expectations. Immersive gaming gets a distinct edge when you have a gaming laptop with a bezel so thin it’s almost invisible. 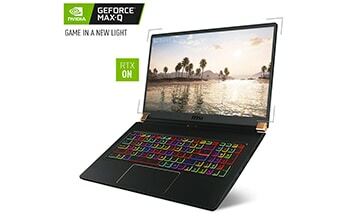 That is the case in the latest 17.3” MSI GE75 Raider-023 laptop that features a new thin-bezel design combined with NVIDIA RTX 2080 graphics. Fueled by an Intel i7 processor, 32GB RAM, and a dual storage setting of 1TB SSD and 2TB HDD, this Raider is adequate for even the most demanding games and other multimedia pursuits. Fully supporting the new-age GPU is a display that provides a refresh rate of 144Hz, a response time of 3ms, and a color gamut of 100% sRGB. The NTSC support is for 72%. Like its slightly cheaper sibling (#4), this gaming laptop also offers an RGB keyboard with per-key lighting. The results are gorgeous, transcending your gaming sessions to absolute divinity. There are also four large speakers for a clearer, louder auditory experience. Despite the immense power, MSI has managed to keep many of its products quite portable and lightweight. This computer weighs about 5.75lbs and has a profile measuring 1.1”. It is not too difficult to carry it along for an out-of-town gaming session. There are four inbuilt USB ports (USB 3.0) to let you connect to any peripherals you may need for collaboration. Fascinated by the thin-bezel design of #5 but on the lookout for a lighter, cheaper laptop? The MSI GS65 Stealth-005 is a fabulous gaming machine powered by an Intel i9 processor, RTX 2080 graphics, and a display with an optimal refresh rate of 144Hz and True Color technology. The thin bezel design (4.9mm or 0.19”) makes for a captivating gaming experience and a screen-to-body ratio of 82%. This only becomes better when you factor in the Dynaudio sound and the 8-hour battery life. The laptop is surprisingly light for its configuration—only 4.14lbs and 0.69”. One fabulous feature you can enjoy in this MSI Stealth is the Dragon Center—a convenient way to choose your gaming mode, from Turbo to Eco, and customize other gaming nuances like keyboard lighting, profiles, and memory settings. The SteelSeries keyboard, by the way, is among the best you can find in gaming laptops, complete with per-key RGB lighting and ultimate precision. Enjoy a never-experienced-before performance in this gaming laptop with Killer DoubleShot Pro to prioritize network traffic and avoid in-game lags, USB ports and HDMI to connect to external displays (up to 4K), and Nahimic 3 audio. MSI has lined up multiple options for you in gaming laptops with a thin bezel design, but we particularly like this one. The MSI GS75 Stealth-202 Razor is a 17.3” gaming laptop driven by an Intel i7 processor, 32GB RAM, 256GB of SSD memory, and NVIDIA RTX 2080 graphics. The FHD screen has a thin bezel design that enlarges your viewing area and renders all multimedia experiences immersive. It further helps that the display supports a refresh rate of 144Hz and offers a response time of only 3ms. A winsome feature of this pick is its silky touchpad that is 35% larger than previous models. It supports multiple gestures (10+) and makes your gaming more precise and more convenient. This laptop is well connected to the internet with a combination of Killer Gaming Network E2500 and Killer N1550i. There are three USB 3.0 ports to let you connect to any peripherals you may require. Quite an attractive machine with a matte black finish and gold-diamond cuts, it weighs 8.58lbs and measures 0.75”. 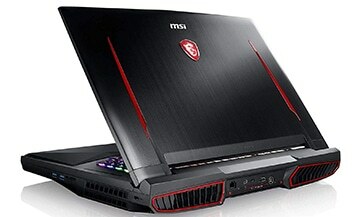 The MSI GT63 TITAN-032 gaming laptop, built especially for long and intense gaming endeavors, is a 15.6” machine driven by an Intel i7 CPU, 16GB RAM, and a storage combination of 256GB SSD and 1TB HDD memory. It supports NVIDIA RTX 2080 graphics and a full High-Definition screen with a refresh rate of 144Hz and a response time of 3ms. The color gamut supported is 100% sRGB which means all your imagery is rendered with meticulous attention to detail. There’s also an RGB keyboard (SteelSeries) with per-key lighting. 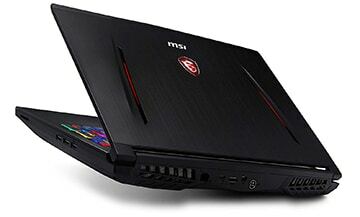 The Titan series of MSI is heavier than some of its contemporaries. This laptop weighs 6.48lbs and measures 1.6”. However, it is well connected to the outside world through USB ports, an HDMI, Killer Gaming Network E2500 and Killer N1550. Bonus: The laptop is now available on Amazon with a special promotional bundle worth $370 that includes super-cool paraphernalia like an MSI Clutch GM10 gaming mouse, an MSI Shield gaming mouse pad, and an MSI Force GC30 wireless gaming controller. There’s also a headset, a string bag, and both Battlefield V and Anthem. Unbelievable, eh? The final—and also the dearest—MSI laptop on this list is the MSI GT75 Titan 4K-011. 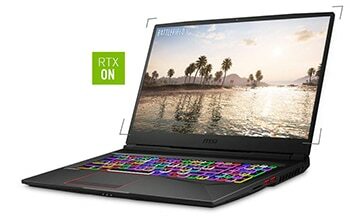 A 17.3” machine with an Intel i9 CPU, 32GB RAM, 512GB of storage (plus 1TB HDD), and RTX 2080 graphics, this is THE laptop for ultimate gaming that stops for no one and nothing. You get a 4K UHD screen with a 100% Adobe RGB gamut to ensure that even the most complicated (and spellbinding) imagery is realized without distortion or loss of detail. When combined with the newest RTX GPU, this configuration guarantees a competitive gaming experience that beats anything you may have tried before. With great power, some bulk does come in creeping. This machine weighs 10.05lbs and has a profile measuring 2.3”. However, you can stay connected without any hassle, thanks to the five USB 3.1 ports—more than in many contemporaries—and the combination of Multi GIG AQC107 and Killer N1550. Interestingly, this purchase also currently comes with a promotional bundle worth $370. So, double yeay! 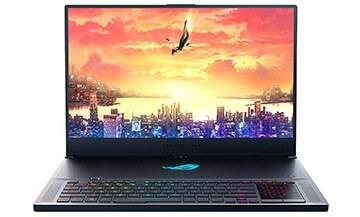 Taking complete advantage of the power of the latest NVIDIA RTX graphics cards is the Alienware Area-51m gaming laptop by Dell. A 17” machine with a ninth-gen Intel i9 processor, 64GB RAM, and 2TB of storage (plus a 1TB hybrid drive), this laptop is ideal for extreme performance at the severest overclocking. Thankfully, all this strength is kept sustainable by an efficient cooling system (cryo-tech) that uses copper pipes, dual fans, and four copper fins to keep you going without breaking into a sweat. The display is vivid and immersive with a refresh rate of 144Hz and an IPS panel. Making the proceedings even more spellbinding is the Tobii eye-tracking technology that has sensors to track the most intuitive of movements like your gaze, head pose, and eye position. It feels like you can talk to your characters/actors and direct their decisions—quite wonderful, to say the least. It is remarkable how Dell has built this product to radiate the power it houses within—the magnesium-alloy body, AlienFX lighting, and dual color options (“Lunar Light” and “Dark Side of the Moon”) are breathtaking. The package weighs 9.7lbs and has a peak height of 1.7”. Did you enjoy browsing through these excellent NVIDIA RTX 2080 laptops 2019? As time goes by, more leading brands are certain to come up with machines that utilize the brilliance of this blazing fast graphics card. If you want to jump onto the bandwagon early—and go all out—you’d be safe with an ASUS ROG Zephyrus S GX701GX-XS76 (#2) or an MSI GT75 Titan 4K-011 (#9). The ASUS ROG Zephyrus S GX531GX-XS74 (#1) and the ASUS ROG Zephyrus S GX701GX-XS76 (#2) are also sound, all-rounder options that blend the reliability of ASUS with the contemporariness of a fancy new GPU. 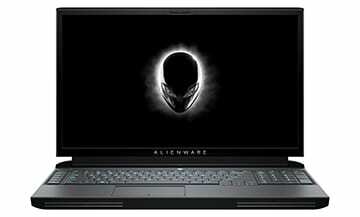 The Alienware Area-51m (#10) is among the most affordable yet powerful RTX gaming laptops currently available in the market. An RTX gaming laptop is an investment, and there’s no doubt it is a pricey decision. But your dollars will buy you a gaming experience that, allegedly, no other graphics card at present can rival. For passionate, professional gamers who want to push the envelope after having played on GTX cards will appreciate the jump. However, you’d be well-advised to be cautious and not rush into a purchase if your trusty old GTX laptop has been delivering gaming that delights you plenty anyhow. Ryan as a senior writer and editor in chief of mylaptopguide, spends most of his time searching for new and best laptops. His passion for learning laptops help people find the best laptops.